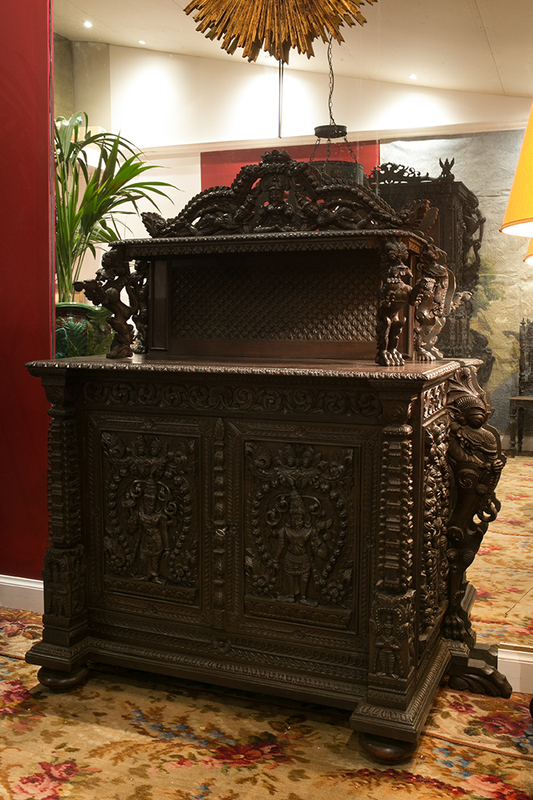 This imposing Indian furniture comes from the private residence of the colonial administrator in Pondicherry Edmond Gaudart. 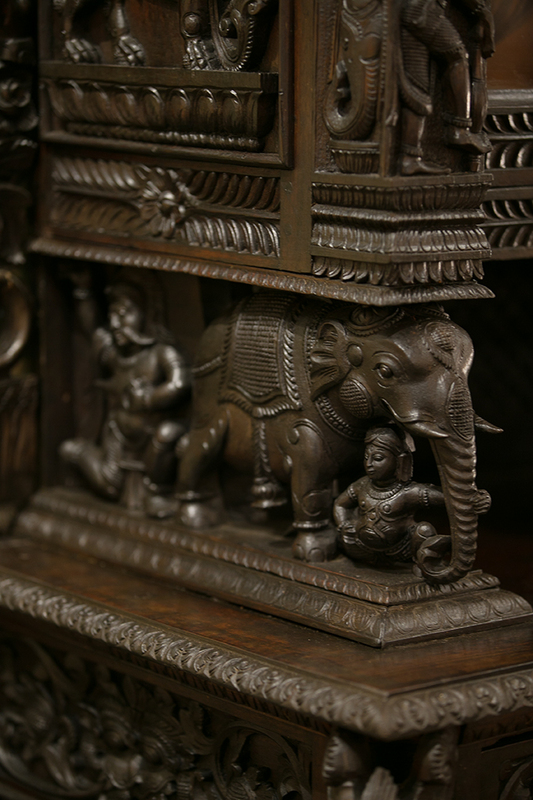 Composed of thirteen pieces, its opulence testifies to the wealth of the wealthy bourgeoisie established in the counters of French India. 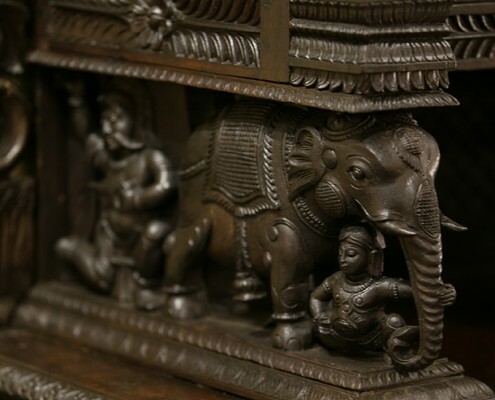 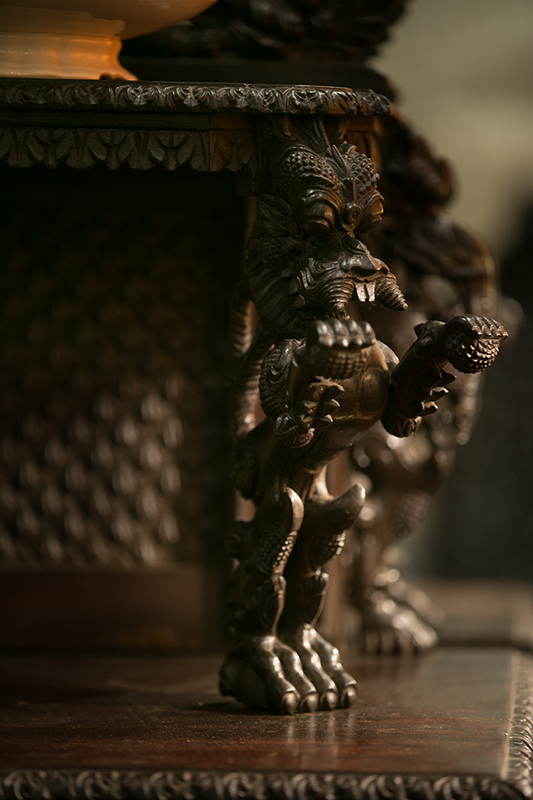 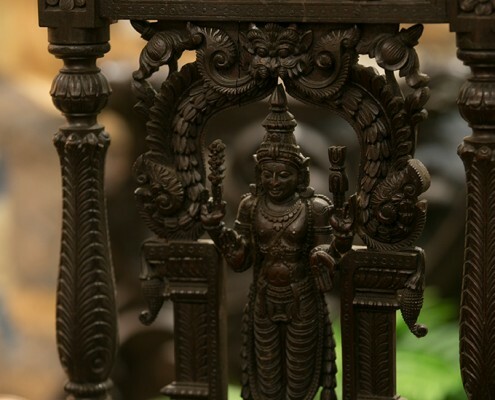 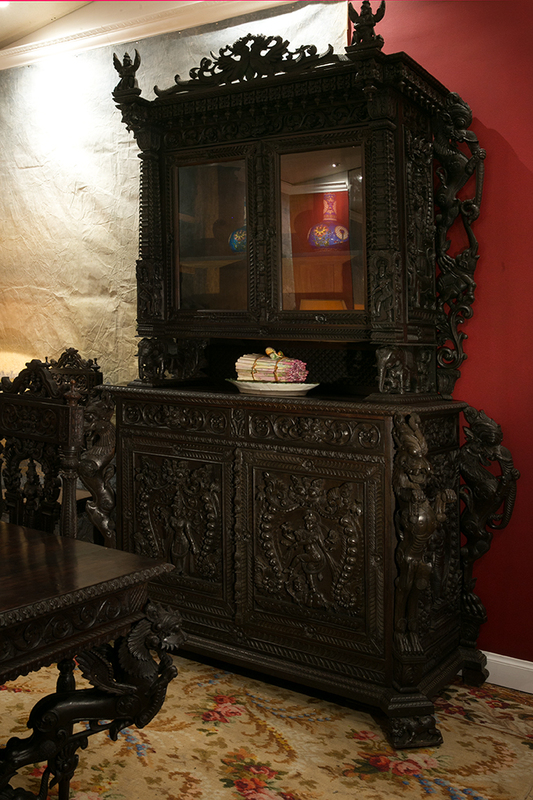 The abundance of carved decoration also attests to the talent of local craftsmanship; able to provide high quality production – most often for export. 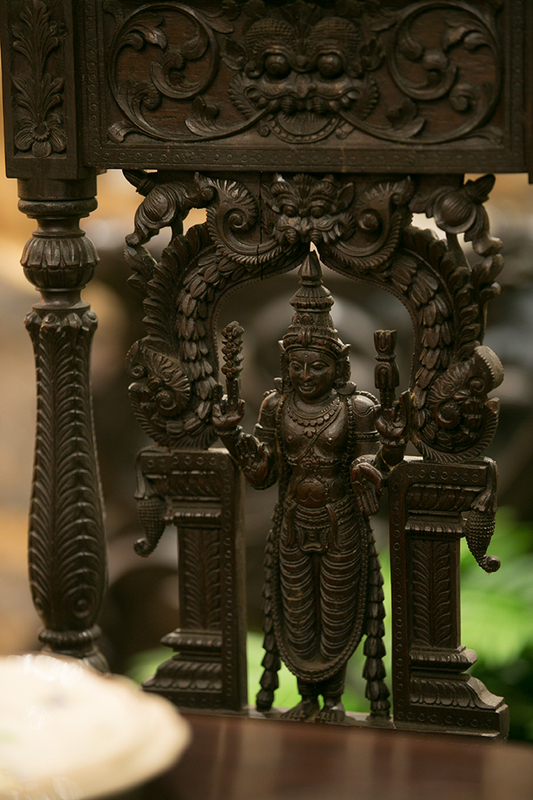 Stylized friezes mixed with representations of Hindu deities; while the dark essence of rosewood gives this ensemble a majestic solemnity. 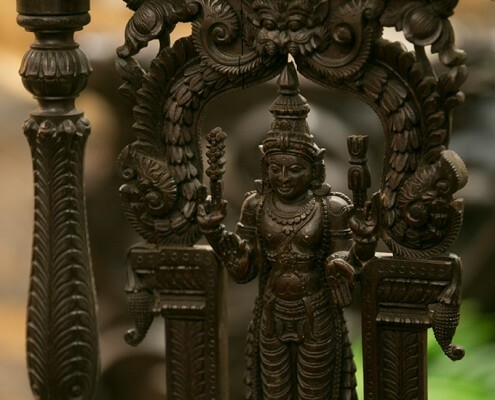 India’s French institutions, made up of all the territories and trading posts that France maintained in the Indian subcontinent until the middle of the 20th century, included many large coastal cities – including Pondicherry, a real hub for Indo-European traffic and a stronghold for the spice and indigo trade. 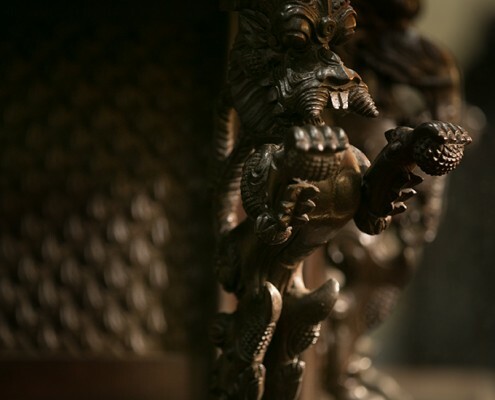 Coming from a wealthy French family, Edmond Gaudart (1859-1942), honorary governor of the colonies, was governor of Senegal and Dahomey in 1908. 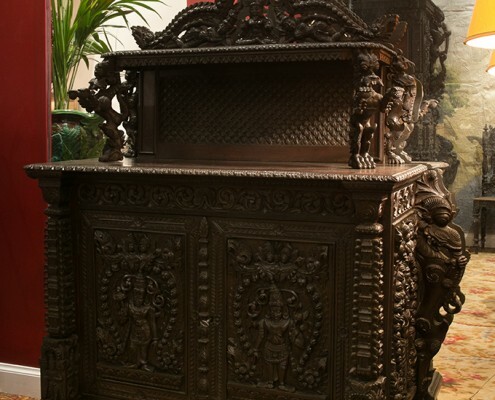 During the famous 1931 International Colonial Exhibition in Paris, furniture exhibited by French India was the work of most of the students at the Pondicherry School of Arts and Crafts. 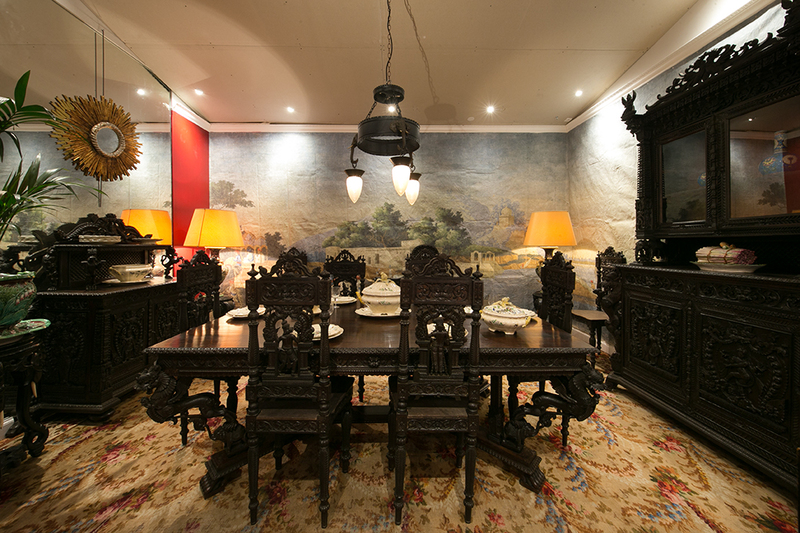 This large dining room is probably part of a this School. 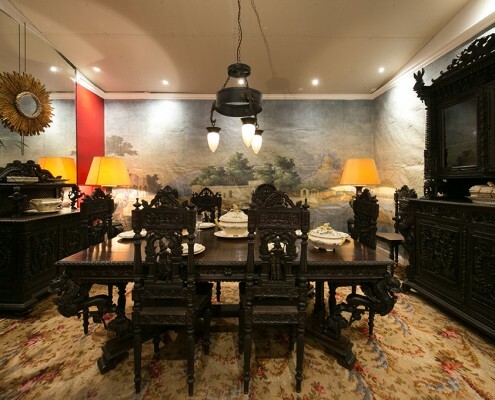 The commercial aspect remains typical of this production, which combines traditional know-how with more Western typologies, suitable for the colonial aristocracy. 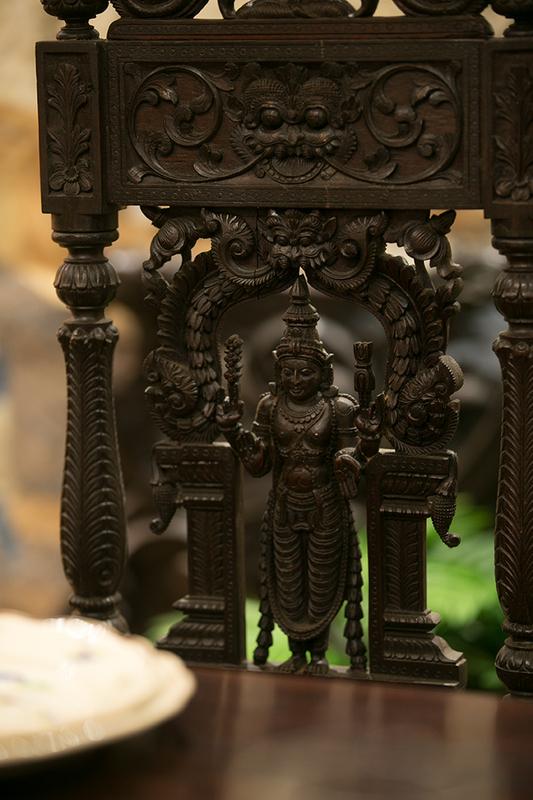 Here, the shape of the Second Empire chairs is combined with a very marked Indian iconography (presence of the god Shiva on the relief of the buffet).